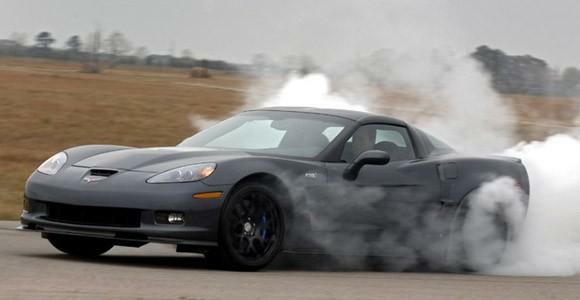 You are not impressed by the 638 hp which allows the new Corvette ZR1? Hennessey has the solution! American tuner offers for the most powerful Corvette ever a tuning package that increases power V8 engine to 705 horsepower and 970 Nm. To obtain these values, Hennessey have increased pressure from 11 to 14 psi. Also, they installed an air filter K & N, an improved intercooler and a new exhaust system, and they reprogrammed ECU. With so much power on board, ZR700 accelerate from 0 to 60 mph (96 km / h) in just 3.1 seconds from 0 to 150 mph (240 km / h) in 13.9 seconds, while maximum speed is 212 mph (340 km / h). And if everything is not enough, Hennessey offers a more powerful package – ZR750 – which offers 755 horsepower and 988 Nm! In this case, American supercar accelerates from 0 to 60 mph (96 km / h) in just 2.9 seconds from 0 to 150 mph (240 km / h) in 13.1 seconds, while maximum speed is 217 mph (350 km / h). Can I take a photo from your blog?